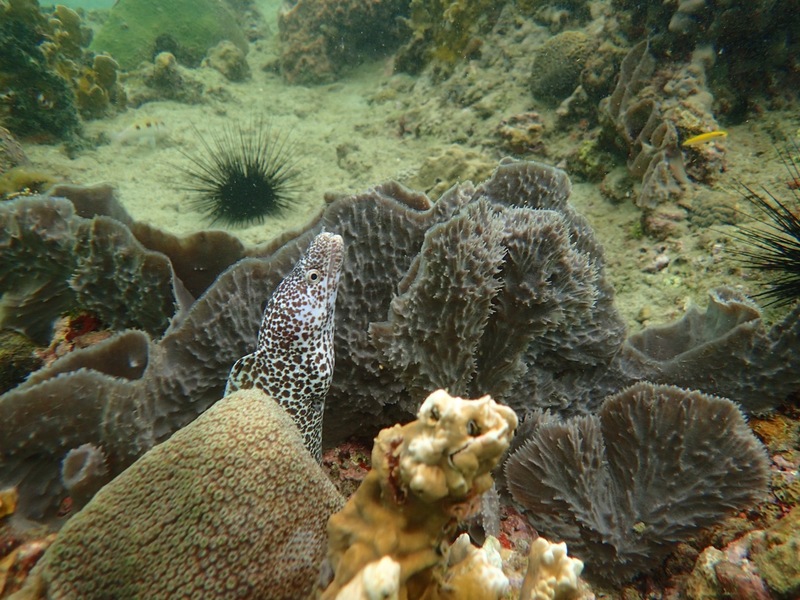 We had a snorkel on Zoe this week and had a fun encounter with a spotted Moray Eel. She snuck out of some soft corals as we dove down to check out a French Angel Fish. If you are interested in seeing the best that Tobago has in snorkelling, check out www.snorkeltobago.com or email us at duanekenny@hotmail.com or call 868-681-4741.